How to reset the gauge to zero Fiat Marea. Produced between : 1996 until 2007. Unscrew the bolts retaining the injection pump to the mount. Undo retaining nuts shown and remove the injection pump. 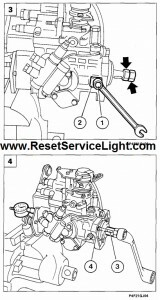 The injection pump may or may not be fitted with a key for fitting the drive pulley; if a key (part no. 10205820) is available, carry out the procedure described on the following page. 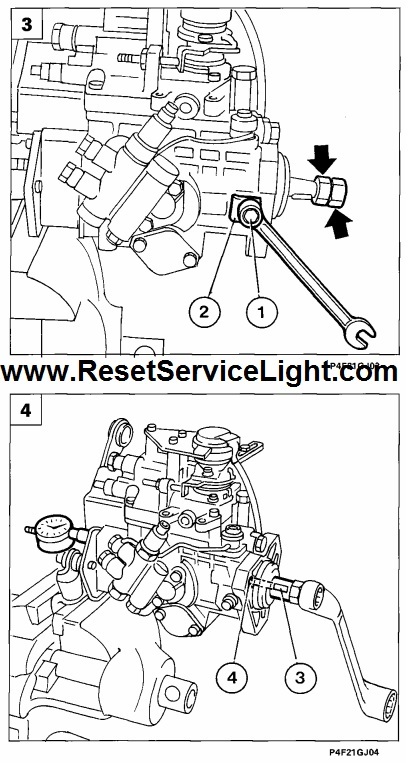 If no key is provided, follow the instructions in points 3 and 4 on this page in order to fit the pump out of alignment with the crankshaft, then follow the procedure described on the following page. 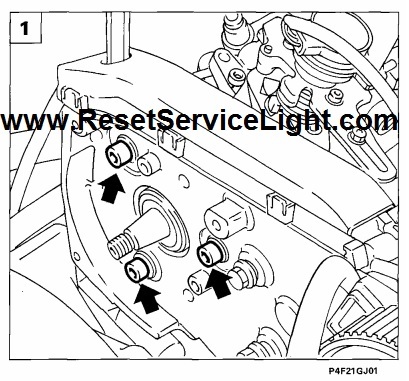 Tighten the injection pump in a vice, loosen retaining screw (1), remove spacer (2) and fit a nut and counternut on a threaded end of the pump shaft. Align the key seat on shaft (3) with fastening hole (4). 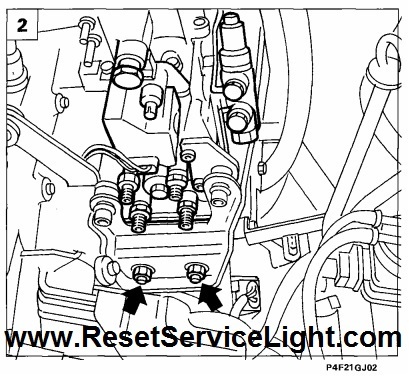 Remove the rear cap and tighten tool 1865090000 so that the probe is in contact with the distributor plunger. Turn the shaft anticlockwise until the piston reaches B.D.C. as indicated on the gauge. Reset the gauge to zero and turn the shaft clockwise until piston stroke is 0.92 mm, then remove tool 1865090000 and refit the cap.